Wine is getting a completely new spin thanks to Rebel Coast Winery’s new cannabis-infused, alcohol-removed wine. The wine will be available beginning January 2018 (assuming all the new legislation for marijuana’s recreational use in California go through as planned), though Rebel Coast Winery is already taking preorders on the vintage. It is available to California residents who are over the age of 21. According to the company website, the marijuana-infused sauvignon blanc has 4 milligrams of THC per serving and it takes about 15 minutes to feel the effects. Even better? No alcohol means no hangover. The flavor of the wine is not marijuana-heavy according to Rebel Coast. Instead, the forward flavors are high acid, bright citrus and a crisp, clean finish. 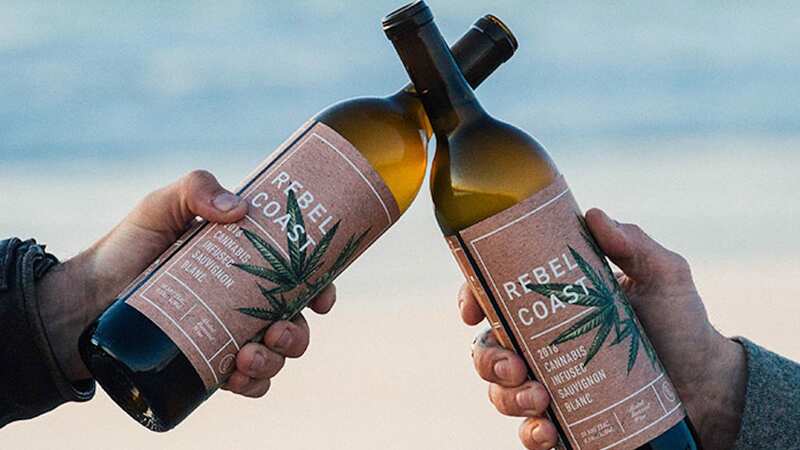 “Winemakers have been making infused wine for years, but no one developed a reliable method to remove the alcohol and infuse it with cannabis’ active ingredients in a way that wasn’t impacting the quality of the wine,” Rebel Coast founder Alex Howe explained in a press release. If you’d like to try out this crazy new concept yourself and are in California, you can preorder a bottle for $59.99.